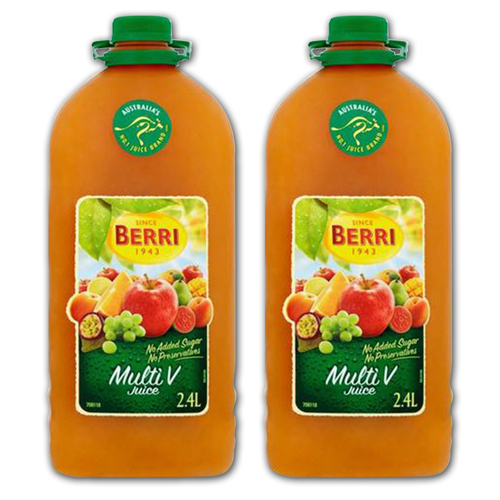 With over 70 years of experience, Berri offers a delicious range of juices for your family to enjoy. 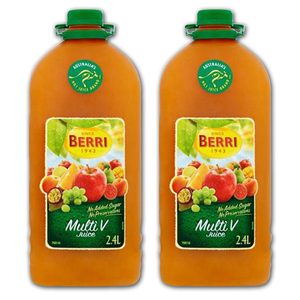 Berri Juice has the natural goodness of fruit and vegetables to help you squeeze the most out of everyday life. 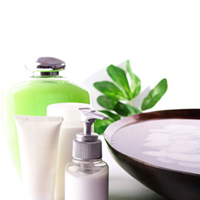 Reconstituted Fruit Juices [Apple (72.4%), Orange (17%), Grape (4%), Apricot (2%), Peach (2%), Pear (0.5%), Lemon (0.5%), Mango (0.5%) & Passionfruit (0.5%)], Guava Puree (0.5%), Flavour, Vitamin C, Vitamin A, Acidity Regulator (330), Folate.